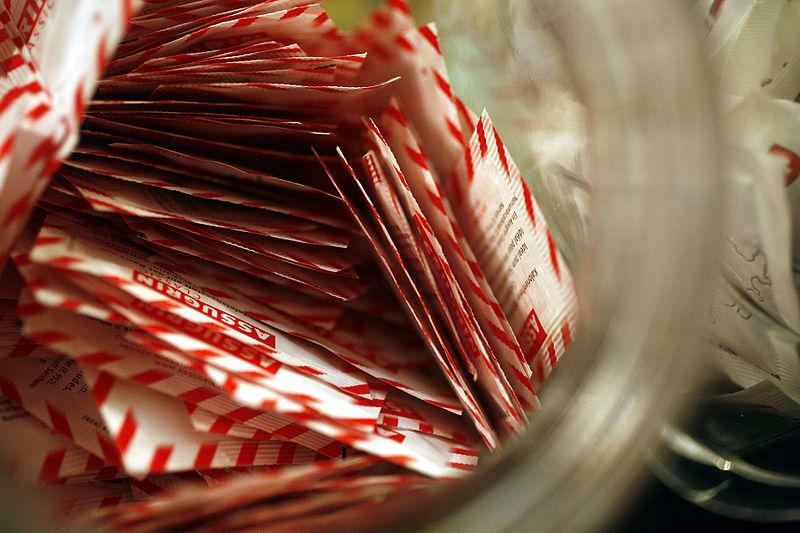 Are Artificial Sweeteners Linked To Cancer Risk? Artificial sweeteners are also known as sugar substitutes. These are substances which we use to replace table sugar in various foods and beverages. Compared to regular table sugar, these artificial sweeteners are sweeter. So a small amount of it can give you similar sweetness as a larger amount of sugar. Artificial sweeteners come under the regulation of FDA (Food and Drug Administration) of US. Food additives need to be approved by the FDA before being sold publicly in the US. It is not considered mandatory for products which are ‘generally recognized as safe’ to get approval from FDA. Many critics have been linking artificial sweeteners with various health issues, and cancer is one of them. National Cancer Institute and some other agencies in the US have stated that artificial sweeteners are not related to cancer or any other severe health issue. Some early studies conducted on laboratory animals showed that cyclamate and saccharin, both artificial sweeteners, together could cause bladder cancer. These studies were followed by carcinogenicity tests of the mentioned sweeteners but a strong evidence of the occurrence of cancer in humans could not be established. Studies related to sweeteners approved by the FDA have also not proven conclusively that they can be linked to cancer. In the early 70s, some studies done on rats suggested that saccharin could cause a risk of bladder cancer. Further studies revealed that high doses of saccharin were responsible for bladder cancer risk in rats, specially the male ones. Still, a similar consequence in the case of humans could not be determined after mechanistic studies were conducted. In the report on carcinogens of the US National Toxicology Program, saccharin was included in the list of possible carcinogens since 1981but was removed from there in 2000. The FDA approved aspartame in 1981, only after several tests proved that it was not linked to cancer or any other negative effects in animals in the laboratory. In 1996, a report came up showing some connection between aspartame and a rise in the incidence of brain tumors. Further analysis of the report made it clear that the data were inadequate to establish a strong evidence to conclude that aspartame was responsible for brain tumor risk. Again in 2005, a study suggested that rats consuming high amounts of aspartame developed leukemia and lymphomas. But the findings could not be validated convincingly. Later, NCI conducted its own research and it was found out that higher consumption of beverages containing aspartame could not be linked to brain cancer, lymphoma or leukemia. Cyclamate was banned by the FDA in 1969 following some studies on rats which suggested a higher risk of bladder cancer, which extended to humans also. After carcinogenicity tests were conducted on cyclamate and other data were also examined, it was found out that cyclamate is not a carcinogen. Despite a petition for reapproval of the sweetener being filed with the FDA, the FDA has not considered it actively because there are other possible issues with cyclamate which have not been proven yet. These are three more artificial sweeteners which are approved by the FDA, other than saccharine and aspartame. The FDA has reviewed numerous studies conducted on these sweeteners and approved them only after no results linking them to cancer was found. Acesulfame potassium got approval from FDA in 1998 as a sweetener that can be used in certain foods and beverages. In 2002, FDA approved it as a sweetener for general purposes, except poultry and meat. Neotame is much like aspartame. The FDA approved it as a sweetener for general purposes except poultry and meat in 1998. Sucralose was first approved as a table sweetener in 1998 and later the FDA approved it as a sweetener for general purposes in 1999.